We can’t be sure how many people in the U.S. possess the connected car trifecta: an Android phone, a brand-new Ford vehicle with AppLink, and an Amazon Cloud Player account. But if you happen to fall into this category, today is a good day. 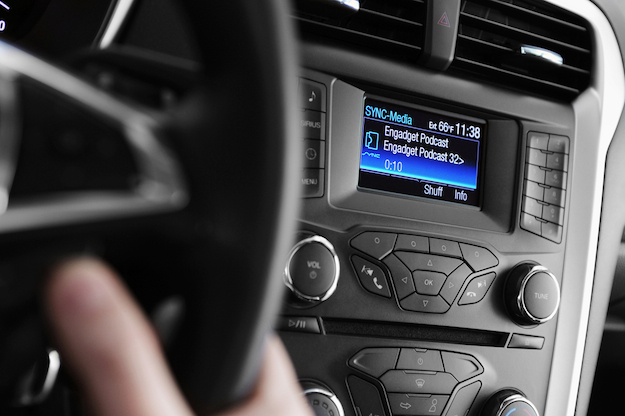 Amazon has announced that Android users can now stream their cloud-based Amazon music collections straight from their smartphones and directly to their Ford SYNC with AppLink-equipped vehicles. By downloading the free Amazon MP3 app in the Google Play Store, Ford owners can access and control their entire Cloud Player music library as well as any music stored locally on their phone using voice commands. Not to burst Amazon’s bubble, but Ford vehicles equipped with SYNC have been able to this for some time now, either through apps like Pandora or with music stored locally on their phone. Still, Amazon users will no doubt be pleased at the inclusion of the music streaming service, which joins the likes of Rhapsody, Slacker, Pandora, and MOG among others. We suppose it’s better late than never. The release goes on to insist users can now do away with their CDs and rely solely on Cloud Player. Which begs the question: Who on earth still has CDs that aren’t being used as ironic coffee table coasters? Ford’s current lineup of vehicles with AppLink capabilities include the 2013 Ford Fiesta, Mustang, Focus, E-Series, C-MAX Hybrid, Expedition, Fusion, F-150 and Super Duty models.